Aprons Are Still In Style! Howdy friends and welcome back to my “front porch”! There is a cool breeze blowing through and a bunch of fresh cut sunflowers sitting on the wicker table. Grab a chair or sit on the swing, and have a glass of cool lemonade. It’s in a plastic cup of course because here on the front porch we don’t do fancy, just friendly. 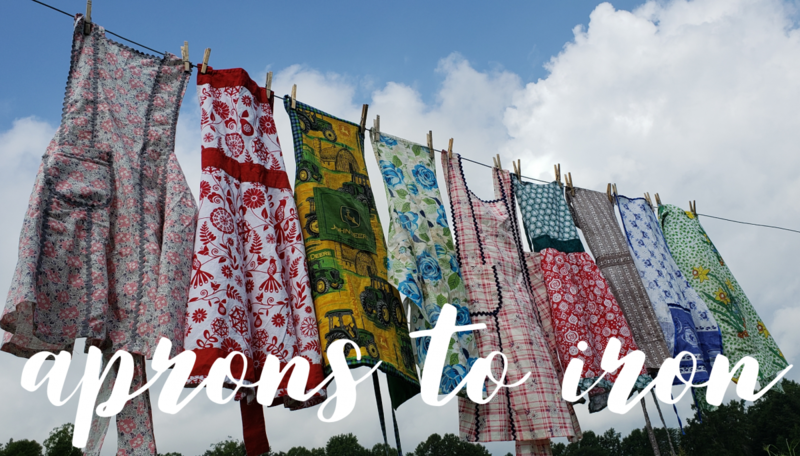 Author RhondaPosted on July 20, 2018 July 20, 2018 8 Comments on Aprons Are Still In Style!